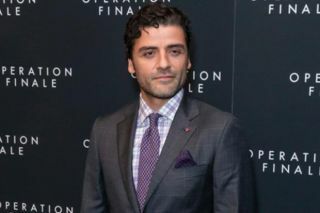 "Star Wars: The Last Jedi" actor Oscar Isaac is in talks to join the cast of director Denis Villeneuve's "Dune," according to Variety. The Hollywood trade reports that Isaac is in discussions to take the role of Duke Leto Atreides, the father of star Timothee Chalamet's Paul Atreides, in the new adaptation of the iconic science fiction book by author Frank Herbert. "Dune" is in development for an unspecified release date. The film has already recruited Stellan Skarsgard (Dr. Erik Selvig of the Marvel Cinematic Universe) as the despised Baron Vladimir Harkonnen, Charlotte Rampling ("Hannah") as the Reverend Mother Mohiam and Dave Bautista ("Guardians of the Galaxy") in an unspecified role .